When it comes to family travel in the Lake Havasu City region, no minivan can compare to the 2017 Chrysler Pacifica! The new Pacifica comes equipped with exclusive Stow ‘n Go seats that allow you to configure the interior to your current transportation needs, whether that means pushing the seats into the underfloor storage compartments to fill up the cabin with recreational gear or using the compartments for books, toys, blankets and more. A Uconnect Theater entertainment system keeps small passengers actively engaged with games and videos as you embark on road trips short and long. Do you often have trouble parking? Minivans are sizeable vehicles, but thankfully the new Chrysler Pacifica offers ParkSense Rear Park Assist and Parallel and Perpendicular Park Assist features to make parking a breeze! Ready to add the Chrysler Pacifica to your daily routine? 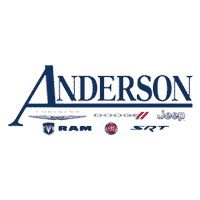 Visit us here at Anderson Chrysler Dodge Jeep today to view our new Chrysler vehicles for sale in Lake Havasu City, Arizona!